Put flour, salt, sugar and baking powder in a bowl and mix it. Take out (4) from refrigerator and then put eggs, tempura scraps, pickled red ginger and cabbage. Then mix it well. Heat the pan and put vegetable oil. Once one side is cooked, flip it and bake the other side. Put source, mayo, katsuobushi, green onions and dried seaweed powder on okonomiyaki. If you are not a big fan of cooking or want to try traditional okonomiyaki at a restaurant, don’t worry. There are tons of places you can try okonomiyaki in Tokyo. 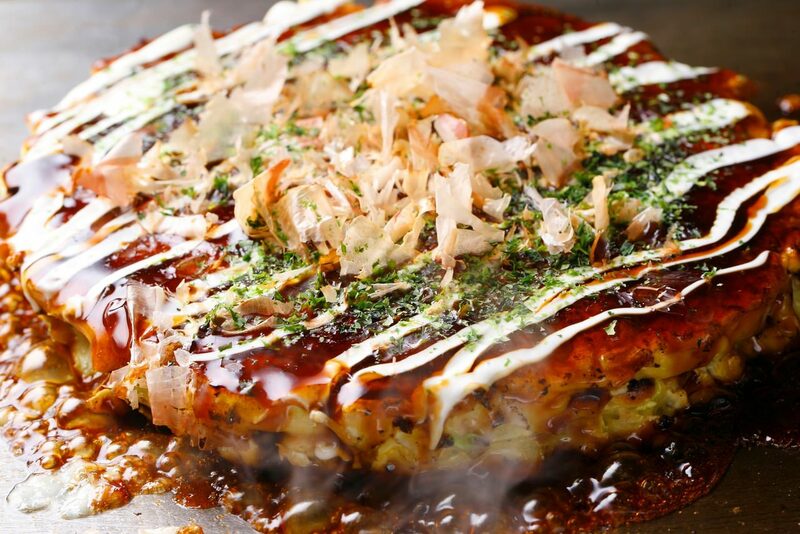 If you are not sure which okonomiyaki restaurant to choose, let us help you explore. Our Asakusa tour will take you to a delicious okonomiyaki restaurant. You can also enjoy the traditional Japan life in Asakusa with us.